Sagres, a Portuguese beer maker, wanted a special way to introduce their new chocolate stout. 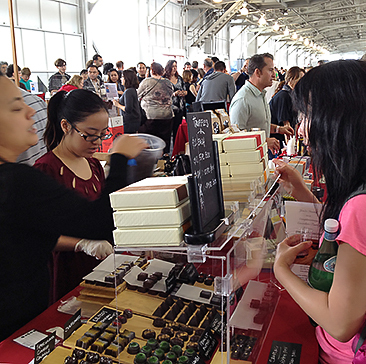 Their web designers enlisted chocolatier Victor Nunez to build the interface out of chocolate. 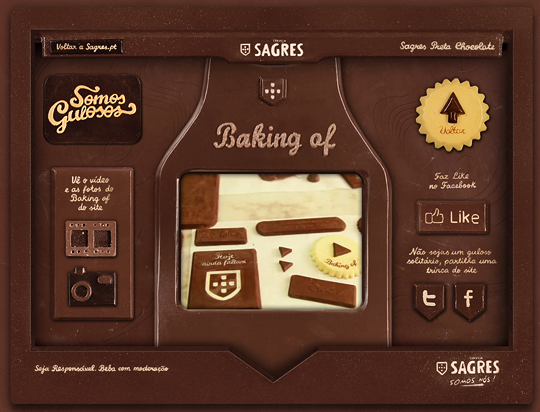 A literally delicious website for Sagres chocolate stout. 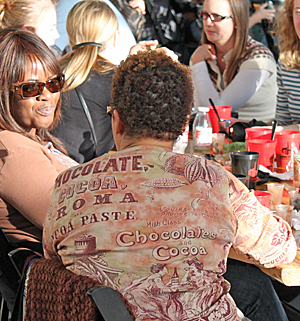 As technical coordinator of the Óbidos International Chocolate Festival, Victor began the process at the festival. Watch the process and results in the Sagres Preta Chocolate video on Vimeo. All we need now is smell-o-vision monitors. Date posted: June 16, 2011. This entry was posted in News and tagged beer, chocolate art, Óbidos International Chocolate Festival, Portugal, Sagres, stout, Victor Nunez. Bookmark the permalink.